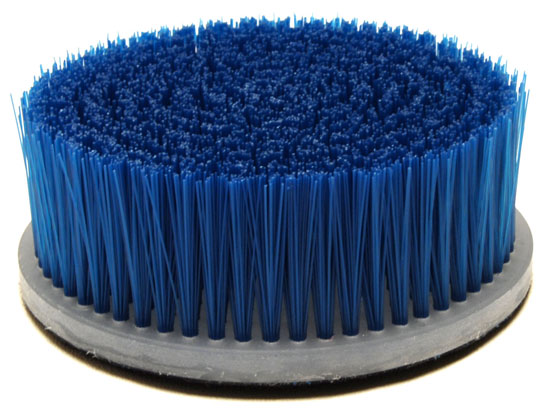 The Heavy-Duty DA Carpet Brush features deep 1.5-inch nylon bristles that are stiff enough to remove stains, and gentle enough not to damage delicate surfaces. Attach the Heavy-Duty DA Carpet Brush to a 5-inch hook and loop backing plate and youll be able to clean carpet faster than you ever thought possible! Dont stop at carpet and upholstery! The Heavy-Duty DA Carpet Brush works great for cleaning kitchen and bathroom tile, non-skid surfaces on a boat, and vinyl convertible tops.